Brandon Medical's Coolview CLED11SX examination lamp is the perfect light source for a wide range of procedures. 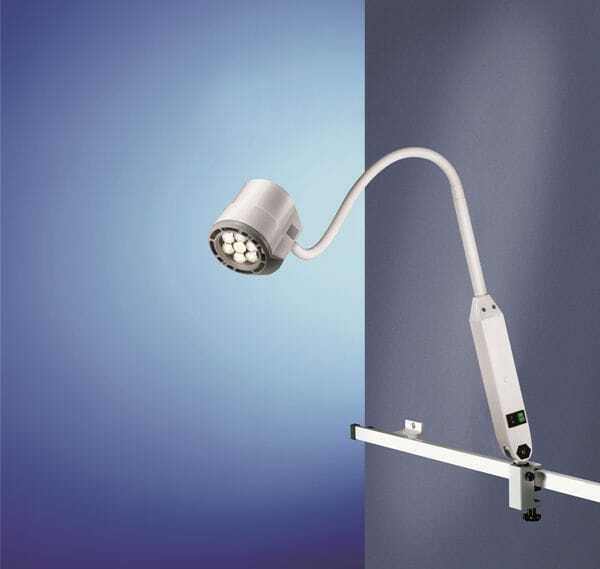 CLED11SX is equipped with a multiflex arm which offers additional positioning flexibility and a reach of 850mm.The CLED11SX provides a high intensity, bright natural light, perfect for medical consultation in primary care and medical clinics. CLED11 emits 40,000 lux of bright natural light at 0.5m providing an intense, clear light source dfor use in general consultation areas. 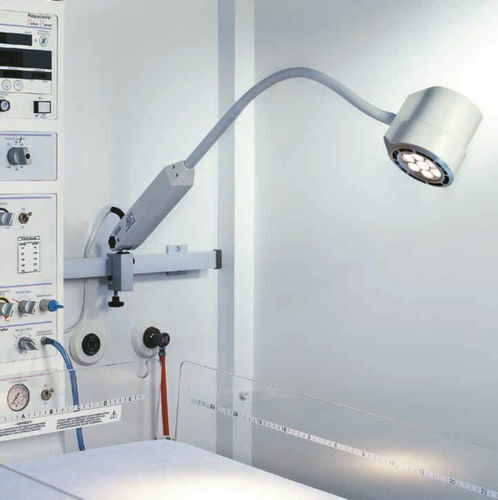 The light intensity is fixed at an optimised level for general examination and ease of use. The elegant SX multi-flex arm ensures smooth and easy positioning but with an enhanced flexible arm for precise positioning. The arm has a reach of 850mm and includes an integrated transformer. The SX arm also has a turn restrictor to prevent it from being pushed into the wall land locking devices to prevent accidental removal from the fixing brackets. The colour corrected light source with a colour temperature of 4,400°K allows for accurate representation of tissues during examinations. CLED11SX does not emit any infrared radiation, avoiding heat exposure during examinations.